Summary (from the back of the book): Anderson Cooper's ground-breaking coverage on CNN has changed the way we watch the news. Few people have witnessed more scenes of chaos and conflict around the world. 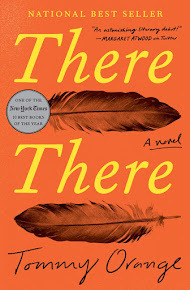 In this gripping, candid, and remarkably powerful memoir, he offers an unstinting, up-close view of the most harrowing crises of our time, and the profound impact they have had on his life--from the tsunami in Sri Lanka to the war in Iraq, from the starvation in Niger to the tragedy of Hurricane Katrina in New Orleans and Mississippi. 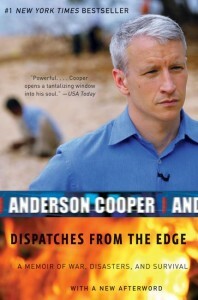 Review: I have been watching Anderson Cooper report from dangerous war-torn countries since 1994 when I taught at Carpinteria High School. He was the foreign correspondent on Channel One, a news show geared to high school students. Each time we watched, my history students commented that, "Anderson Cooper is always somewhere dangerous!" And Cooper has continued to do that through today. Not only does he report war, but starvation, natural disasters, and human suffering, but he does it with dignity, solemnity, and knowledge of each and every situation. He has always seemed to me to be one of those "trusted" newsmen. And after reading his memoir, I feel like I will watch him with a changed attitude. Cooper takes the reader through his reporting in Iraq, Sri Lanka after the Tsunami, Rwanda during the genocide, Niger's famine, and back home to Mississippi after Hurricane Katrina. But this book is more than just a travelogue. Cooper intersperses personal anecdotes from his childhood, including tragic events that have made him the man he is today. I liked the insights into his personal development because he shows the reader how his upbringing affects his experiences oversees. I really thought it was an interesting and intriguing book on many levels.